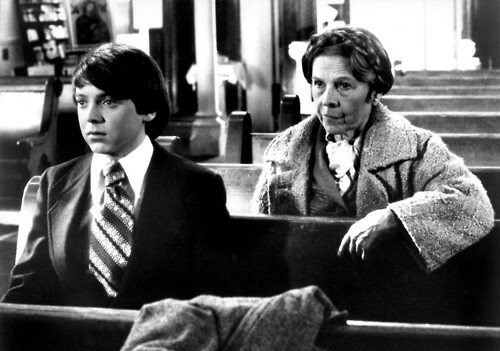 Most young people know Ruth Gordon as Maude from Harold and Maude. What they don't know is that she lived a full, exciting life well before she got this part. (Are you surprised?) A talented writer and actress, Gordon's acting career began when she was nineteen years old and ended just before her death at age eighty-eight. Gordon acted both on stage and in film. She won one Academy Award for playing the oversolicitous neighbor in Rosemary's Baby . Other roles included playing opposite Greta Garbo in Two-Faced Woman , playing Mary Todd Lincoln in Abe Lincoln in Illinois , and starring in stage productions of A Doll's House and Peter Pan. 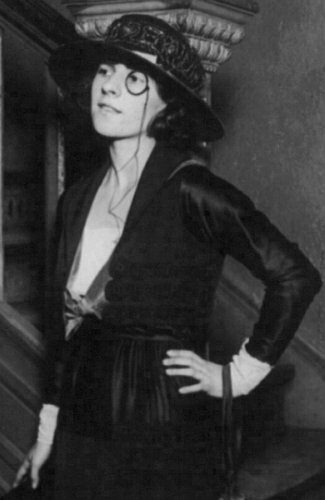 Ruth Gordon was married twice. Her first husband died of heart disease in 1927, less than six years after they got married. She and her second husband, Garson Kanin, collaborated on screenplays for movies like Adam's Rib (starring Hepburn and Tracy), Pat and Mike and A Double Life . A movie based on her early life, The Actress , was made in 1951. Gordon and Kanin were married until Ruth's death in 1985. Ruth Gordon published three volumes of memoirs in the 1970s: My Side , Myself Among Others and An Open Book . To get it right, be born with luck or else make it. Never give up. Get the knack of getting people to help you and also pitch in yourself. A little money helps, but what really gets it right is to never––I repeat––never, under any conditions, face the facts. Pan me, don't give me the part, publish everybody's book but this one and I will still make it! Why? Because I believe I will. If you believe, then you hang on. If you believe, it means you've got imagination, you don't need stuff thrown out for you in a blueprint, you don't face facts––what can stop you? Garson Kanin:Ruth is a truly religious woman. I, on the other hand, am an atheist. I see organized religion as the scourge of mankind, the cause of all its wars and friction. I wish it could be eradicated. Ruth: Oh, what a crock. When you've been in a jam I didn't hear you say, "Oh, President Carter, if I just get through this I'll vote for you." You said, "Oh, God!" Ruth: I'm not so sure. I asked Thornton once if he believed in God, and he said, "Well, we all know something's going on out there." Ruth: I used to. I used to figure it out that Thornton and Alex Woollcott and Harpo Marx would meet me there and help me over the first days. Then I'd come back—oh, I had a whole scenario worked out—and look and see Garson sleeping by himself. And I'd think, "Oh, boy." One day I came and looked in and there was a pretty girl in bed with him. Then I never came back anymore, and got used to Heaven. If you're careful and cautious you'll never be great. You've got to take wild, flying chances in life. People may say, "My God, how awful," but you're aiming for something. Somebody once asked me, "What do you actually know?" I said, "I know how to put on straight makeup, and that's all I'm sure about." [On winning the Oscar at age 72, after fifty years in show business.] I can't tell you how encouraging a thing like this is, for a young actress like myself. To have a career you've got to be selfish, put the blinders on, no question about it. After you make it you can't very well go back and help the people that you stepped on, but you can help somebody.